Retro fit lamps are important energy savers that also cut the cost of upgrading existing lighting systems. A lighting retrofit involves replacing lighting components with more energy efficient counterparts. Any strategy which reduces the amount of energy a lighting systems uses is considered a lighting upgrade. Retrofit lamps produce significant enough savings to pay for the new equipment and provide a return on investment. Most commonly, LED lighting is used in retrofit lamps and for good reason. Lighting is considered an important aspect of any business. Illumination creates certain moods and settings, and it also provides a sense of safety and security. In times past, choices in outdoor lighting were limited and the matter was considered a low priority. 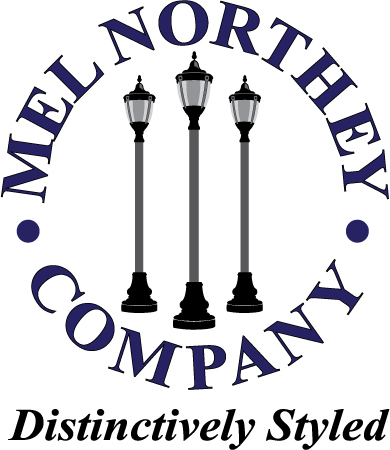 Long-established businesses often find a need to improve outdoor lighting, and retro fit lamps are an excellent option. Marketing research has revealed that exterior lighting is indeed an essential factor, as far as drawing customers to visit an establishment. There is no doubt, however, that outdoor lighting costs can be expensive. One of the benefits of LED retro fit lamps is that they make a lighting upgrade affordable while producing significantly noticeable improvements in lighting. Businesses can sometimes get help from utility companies because incentive programs are frequently offered for lighting upgrades. With LED retro fit lamps, businesses have seen energy costs decline by up to 65% or more within the first year. Due to the savings, investments in the upgrade are quickly paid off. Commercial outdoor lighting, including for parking lots and rear entrances, do not always provide the level of security and sense of safety that people desire. Traditional outdoor lights represent expensive utility costs and yet commonly create shadows and glare, which is a real cause for concern. LED retro fit lamps provide remarkable improvement to exterior areas. Retro fit lamps provide better illumination, which makes customers feel safer and draws them in because the business is more inviting. Better lighting also makes it easier for patrons to find their vehicles in the parking lot. Light pollution comes in different forms, such as intruding on neighbors who don’t appreciate glare at night and detracting from the view of the night sky. Traditional light fixtures have typically wasted at least 30% of their illumination going where the light wasn’t wanted or needed. In other words, 30% of the lighting was a wasted expense because it did not provide safety, security, or any other benefits. Many LED retro fit lamps are also dark sky lights, which means the lighting is directed to specific areas where it is needed but is not directing any illumination toward the night sky. Retro fit lamps which use LED technology can last up to 50,000 hours, which is also up to 25 times longer than traditional or standard lighting. Because of the incredible durability of LED lights, maintenance costs are lower, with much longer gaps between occasions in which bulbs must be replaced. For businesses to be competitive, cost-cutting measures of every kind help with the all-important bottom line. Investing in LED retro fit lamps is an excellent way for businesses to improve their bottom line.